When most Americans think of luxury real estate, Boston might not be the first city that comes to mind. Maybe that should change, given the city’s remarkable economic growth in recent years that has kept it comfortably within the ranks of top-tier markets for first-class real estate and investment opportunities. The luxury market in Boston may look different than its warmer counterparts. But it’s still home to a thriving high-end home market with room to grow. Luxury real estate clients are a particular kind of homebuyer and seller. Predictably, they have refined taste for design and amenities with budgets to match. Their spending power also makes the luxury market a globally competitive one — the elite of almost any American city don’t need to feel tied down to a single property or market. That’s why luxury developers increasingly look to lure clients to some of the (literally) hottest markets like Miami or Los Angeles, or perhaps someplace more adventurous like Hong Kong, Seville or Buenos Aires. How can Boston compete in the modern international high-end home market? Its strong economy and longstanding stature as a globally important city are two major factors, and its status as the unrivaled capital of American academia certainly doesn’t hurt. In its latest Global Wealth Report for 2019, Knight Frank named Boston one of five cities where the ultra-high net worth population is expected to climb rapidly, making it a top destination for luxury development. Helping it reach that milestone is a booming tech sector, which also gained recognition recently as one of the fastest growing in the world in a report from Savills. What makes a luxury broker? If luxury clients have high expectations for where they live, it’s no wonder they set a similarly high bar for the agents with whom they work to buy and sell. 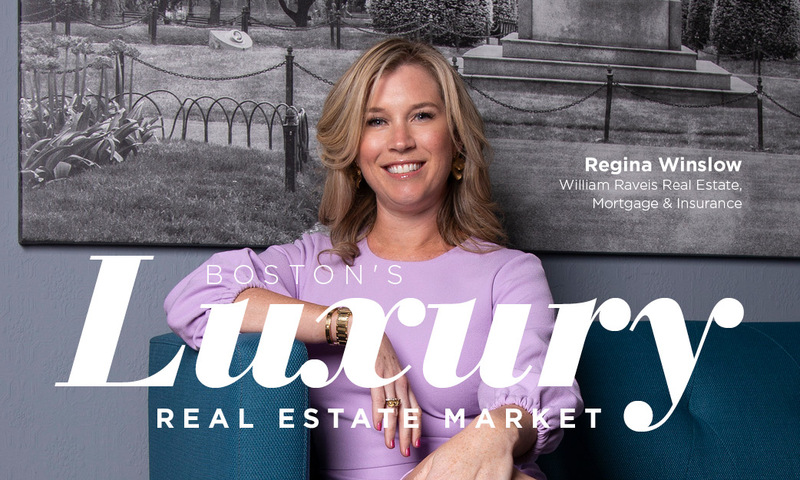 Regina Winslow, luxury property specialist for William Raveis Real Estate in Back Bay, keeps this in mind in her approach to working with clients. Being genuine in this business can be difficult, Winslow says, when working with elite clientele that includes wealthy businesspeople, professional athletes and the occasional showbiz celebrity. Still, it’s easier than one might think, and it’s not just about staying calm instead of starstruck. Like other luxury specialists, Winslow defines her value with an ensemble of skills. She likes to think of herself like a concierge of sorts, and often makes recommendations to clients for all kinds of things with little relation to real estate. She has referred clients to her most trustworthy Mercedes-Benz dealership, or florist, or knee doctor, or any number of businesses where she knows her clients can find the highest level of service. She even helped one purchase a wedding ring recently. Building a network is essential in any field, but as a luxury broker, connections are paramount. Debi Benoit, principal broker at Benoit Mizner Simon & Co., recognizes this and knows exactly who to call on when clients need anything from a general contractor to a recommendation for dinner. But in the luxury sphere, clients usually come with their own retinue of attorneys, accountants, and often even their own architect and builder, should their new house need a few more personal touches. It’s these recommendations that help Winslow’s and Benoit’s clients see them as more than a broker, but a trusted advisor. David Green, leader of the David Green Group at Douglas Elliman of Massachusetts, attributes much of his success in the luxury market to his ability to speak his client’s language — that is, the language of finance. His clients hail from around the world, so English may not be their native tongue, of course. But Green’s experience and education gave him a solid foundation to jump from the corporate world into real estate 14 years ago. With a master’s degree in finance and a few years under his belt working as an analyst specializing in mergers and acquisitions, Green hit the ground running. Not only did his background give him the skills to understand the market, it helped him start his second career with a list of contacts in the business community. Most of Green’s listings are in the heart of Boston, including several condos priced as high as $4.4 million in the new Millennium Tower. But plenty of his clients hail from the outer-ring towns of the Boston metro area, a trend that he and Winslow say they have been seeing more as of late. Boston’s new luxury homebuyer is increasingly an empty nester couple looking to downsize from the larger suburban home where they raised their children. With the family all grown up and moved out, these parents are looking to stay active in a vibrant city setting. Green says he often will facilitate both sides of the move for clients, helping them sell their larger suburban home as well as locating the perfect luxury condo downtown. Winslow estimates around half her clients recently have been empty nesters moving closer to the city. While they are generally in or near retirement age, she says they still gravitate to the full-service condo buildings that even working professionals with children often prefer. The allure of amenities in high-end condo buildings is obvious. The most exclusive condo towers in Boston boast features that even their wealthy buyers often find impressive, whether it’s a 24/7 concierge on-site, a high-end espresso maker in the kitchen or a private elevator. In Millennium Tower, where Green manages several listings, residents can enjoy custom-made cabinetry and the best appliances money can buy in each condo. Downstairs, the decadence continues at the tower’s two-story, 23,000 square-foot fitness club and an exclusive restaurant, Mina, serving an original menu crafted by award-winning Chef Michael Mina. Winslow says at her high-end listings, shared amenities like a kids’ play area, or a private movie theater, or a pet spa, have all become almost necessities to lure buyers. How can agents make it into the luxury market? Benoit and other brokers we spoke with said it doesn’t always come down to who your clients are or how much your listings are worth. 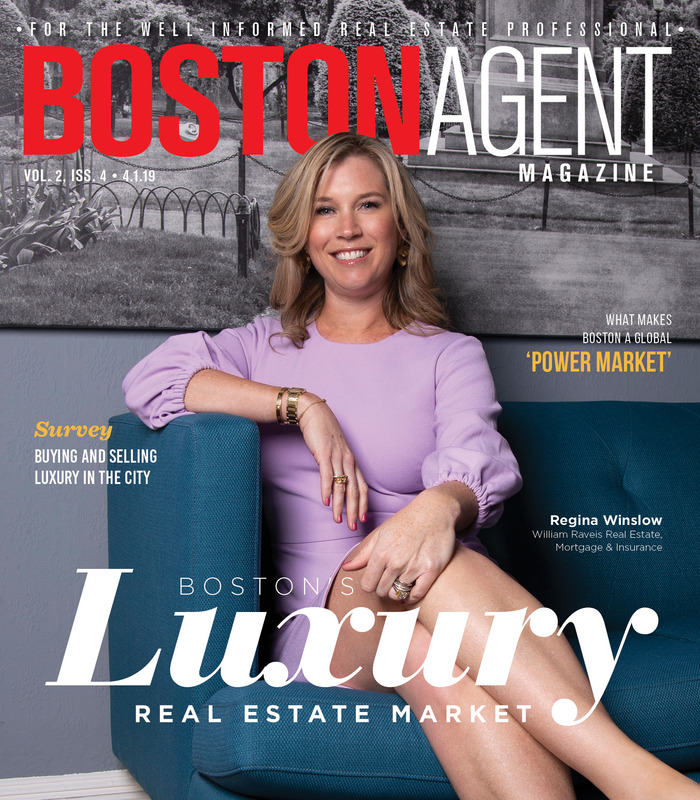 “To be a luxury real estate agent, you need to be at a luxury office,” says Benoit, herself the top broker in Wellesley for 13 years running, as well as the top seller of single-family homes statewide in 2017 and 2018. Finding a professional mentor often pays dividends for aspiring luxury agents, Green says. He only recently realized how important it is to find the right team and office to work under now that he has his own team. At the same time, according to Winslow, the best luxury agents are the ones who hone their personal brand and stick to it. Making a lasting impression with a new client will generate referrals naturally. But over time, Winslow has found, those first clients become some of the best.